SugarSync for business is an online backup solution that is tailored toward business with lots of mobile devices, collaboration and sharing needs. Now, to make things even better, SugarSync for business offers unlimited cloud storage as part of the package. The basic package is priced for 3 users with the option to upgrade easily at any time to accommodate additional users. Built into the administration of your company’s online backup is optional user quotas. At this point in time, each additional user is $13 more per month or about $130 if on the annual payment plan. As a matter of full disclosure, SugarSync states that your initial allocation of space is one terabyte (1T) but that you simply contact them for more space at no additional cost. 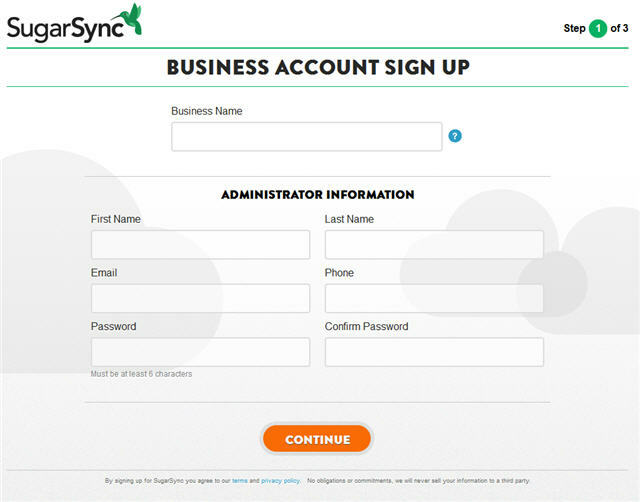 Getting signed up for the SugarSync for Business free trial is very straightforward, just 3 screens of very non-intimidating information and you’re ready to go. 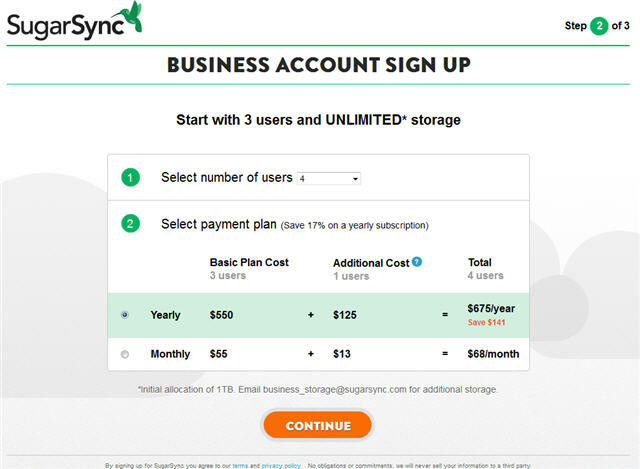 Here are the screenshots of the SugarSync signup process; as you will see, a credit card IS required but will not be charged until the END of your 30 day free trial. 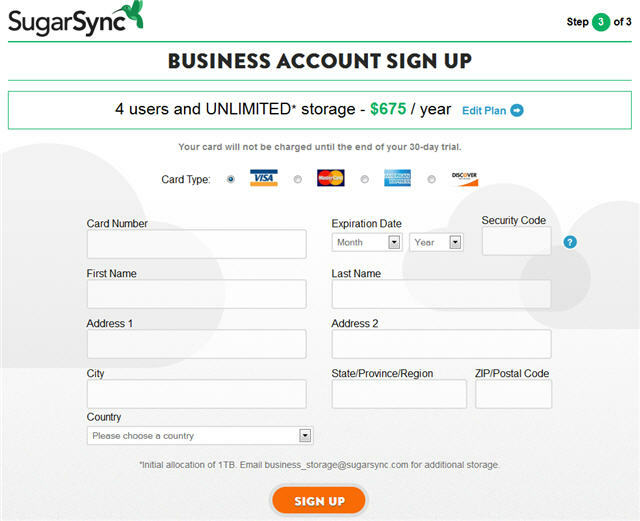 SugarSync for Business is still pretty new, but it’s obviously built on the same platform that has kept users, mobile users especially, thrilled with their online backup service. Improving their offering by providing UNLIMITED ONLINE STORAGE is just a fantastic sweetener of the deal. Cost is in line with many other comparable quality services and should be especially easy to budget in on a monthly basis. Start your FREE TRIAL of SugarSync for Business now! Filed under Business and tagged Business Online Backup, Unlimited Storage. « Stash Now Available For Mozy Pro! Very useful for businesses I think. How does it compare with things like DropBox business? DropBox is more expensive and quite frankly I find their pricing/features between “teams” and “pro” somewhat puzzling, but one does include Active Directory integration which would be handy for larger organizations.